Well here it is. The first two of many red wine recommendations are truly phenomenal and so reasonably priced. 1) The *2011 Josh Cabernet Sauvignon from Josh Cellars in St. Helena, California. This medium body cabernet is great for the price. It received a 6 out of 10 from our evaluators using our red-wine-passion scorecard. Its weaknesses were the aroma and the finish but other that that it was phenomenal and was great for the price range. Pairs well with so many dishes too. It was rated while eating a spaghetti and marinara sauce. Excellent combination. We purchased this wine from our local merchant here in Michigan for $11.00. I highly recommend it. Enjoy! 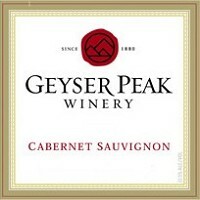 2) The *2006 Geyser Peak Cabernet Sauvignon is our pick for the holiday season. This wine is made in the Sonoma County Alexander Valley region. It is a medium bodied red wine with strong aromas and a long finish. So common for the fine wines produced from the Alexander Valley region. I anticipate many red wine recommendations to come from this region of California. Heavy fruit flavors of black cherry and blackberry with a hint of mocha. A delight to drink when accompanied with grilled meats, strong cheeses and heavy tomato based meals. For a more complete listing of comparable food pairing ideas please visit food and wine pairing ideas. We found this red wine gem at our local Costco and grocery stores in the $11-13 range. On line you can purchase it anywhere between $13-19, however there will be additional shipping charges. Your best bet is to check out your local grocery stores for this wine. It is a great value and tastes more like a wine in the $25-30 range. Get as much as you can. You won't be disappointed. Share your favorite red wine with the world. 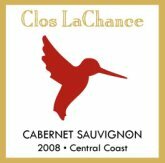 3) The** 2008 silver and gold medal winner Clos LaChance cabernet sauvignon from the Central Coast of California is our second red wine recommendation. I was introduced to this little gem when I ordered a California wine club membership for a friend of mine. You can actually order this wine by going to their site. Priced at $11.99 a bottle. How can you beat it. Although you do have to pay for shipping this company very often will have specials with free shipping or discounts on cases of 20% or more. and remember to print off our Red Wine Tasting Scorecard so you can keep track of the wines you love and the qualities of the wines that you love for future reference. Have you stumbled upon a red wine gem under $15. Share it! Let us know where it was purchased. What do you liked about it? If you can include a picture of the label please do. It will make recognizing it in stores or online easier. 4)Location where it was purchased. If you served it with a particular food that complimented it, please share that too.